Reach the best-kept secrets in the world of electronic music radio station marketing and contacting. 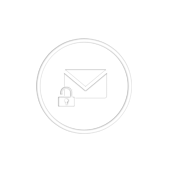 Buy this direct, secret list of email contacts and get privileged access to the electronic music industry. Each EDM email list is carefully compiled and up-to-date. Here, you get 29 direct email contacts for electronic radio stations, which you can contact straight away. We compile these lists through internal and external sources, thanks to years of penetration in the music industry far and wide. Give a boost to your music email marketing campaigns and shoot for the stars!